I know, I know. This is probably going to be the most boring review ever. How and why does someone review vanilla yogurt—of any brand, let alone a store brand? First of all, I'm writing this before I even try the product. That's right. Thus far, I've been typing this, and I haven't even eaten the yogurt. 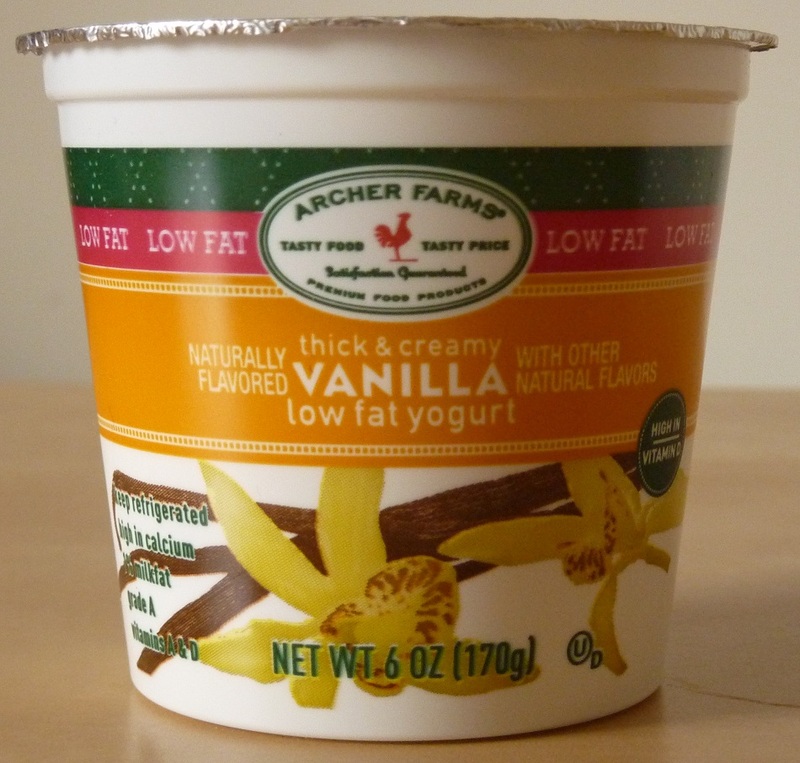 If you've never had Archer Farms Vanilla Yogurt, I'm right there with you. But I assure you, by the time I finish this post, I will have tried and rated the product. Sit tight, folks. I know you're on the edge of your seats. Let me remind you all that I've tried the Strawberry Cheesecake Yogurt, which got an excellent score. I also really enjoyed the Honey Almond flavor. I was disappointed with the Banana Cream Pie Yogurt. And the Blackberry version wasn't much better. 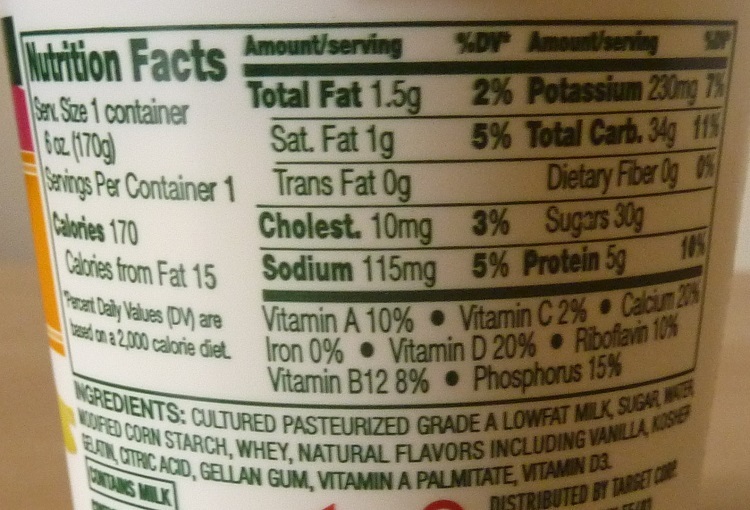 After I've had this vanilla yogurt, I will have tried every flavor available at my local Target, except for the fat-free version of the Strawberry Cheesecake (I had the low-fat variety). And since I've shared my thoughts about each flavor here on this blog in a sensible and organized fashion, at the end of this blog post, I shall declare myself the world's leading expert on Archer Farms Yogurts. Now I'm sure there are other people out there who have tried each and every flavor of Archer Farms yogurts, including many that have been discontinued or are not available at my Target. And I'm sure those people have very valid opinions—which may differ from mine to some extent, however, those people have failed to properly catalog their findings and offer them up for everyone to see here on the world wide web in the manner that I have, therefore, I must conclude that I will still reign supreme as the world's leading expert on Archer Farms Yogurts. And then there will be those naysayers who claim that instead of rating yogurt flavors, I should have done something "meaningful" with my life. Doctors save lives, preachers save souls, soldiers fight for freedom, real journalists enlighten us, yadda yadda yadda. Well, a wise person once said, "Do one thing, and do it better than anyone else." And although my mother made it very clear that I don't do anything particularly well, I have chosen to rate and review Archer Farms yogurt flavors, and until I'm proven wrong, I'm pretty sure I'm the best in the world at it. And while maybe the food-science guys who actually make these yogurts have a legitimate claim at that title, let's face it, their opinions would be too subjective. So here goes. I'm trying the yogurt: It's good. It's yum-tastic. Creamier than most plain vanilla yogurts, it's bursting with flavor. It's sweetened with sugar, not high fructose corn syrup. 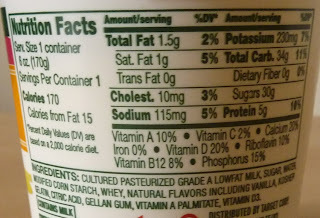 It's low in fat, and it's got 20% of my daily vitamin D.
It's worthy of 8 out of 10 stars.